BJP Mahila Morcha is the Women's Wing of the Bharatiya Janata Party. Vijaya Rahatkar, former Mayor of Aurangabad is the National President of the wing. 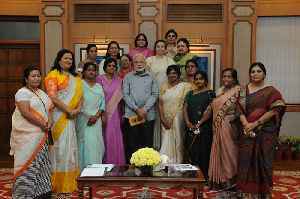 On 3 July 2015, Daggubati Purandeswari was appointed in-charge of BJP Mahila Morcha.